San Antonio’s historic Menger Hotel, located right across the street from the Alamo, has seen its share of history since its opening in 1859. Unsurprisingly, much of the excitement has centered around the hotel bar. From its start, the cozy wood-paneled tavern has had a link with history—in 1887, Herman Kampmann, the Menger Hotel’s second owner, sent an architect to London to study the pub in the House of Lords. 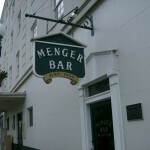 The Menger Bar was designed and built following the architect’s sketches. 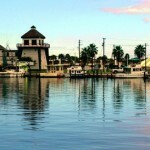 McAllen, Texas, located on the southern tip of the Lone Star State, is a birding hotspot—it even has its own official bird, the beautiful Green Jay. 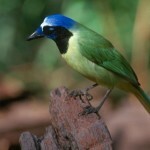 Among the area’s best spots for birding is the Quinta Mazatlan estate. 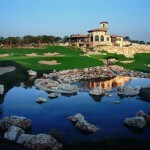 One of nine World Birding Centers in the Rio Grande Valley, the estate surrounds a 1930s Spanish Revival hacienda. Special programs and events here include birding tours on the estate’s nature trails, which wind through more than 15 acres of birding habitat including native woodland and tropical landscaping. A casual walk here is liable to turn up everything from Gold-fronted Woodpeckers to the Buff-bellied Hummingbirds which are found here year-round.